This column is devoted to the story of my namesake, Malinda Ellen Hopper Bullard, a remarkable woman whose years on this earth were chronicled, in part, by the United States Census where her existence was documented from the year 1850 (when she was just a five-year-old girl) to the year 1930 (the last Census taken before her death in 1937) a total of NINE Census enumerations. Unfortunately, as all seasoned genealogists are aware, the 1890 US Census records were damaged in a fire, but destroyed by the water damage caused in attempts to salvage those very records. Malinda Ellen Hopper was born 21 December 1845, almost exactly one hundred years before the birth of the child who would be granted use of her name – her great-granddaughter, the author, who was born 6 January 1946. My mother was blessed to have the opportunity of knowing her grandparents on both sides: Malinda Ellen Hopper Bullard and William Henry Bullard, maternal, and Sarah Jane Godwin Joslin and William Henry Joslin, paternal. My inspiration for chronicling the life and times of Malinda Hopper Bullard was the chance viewing of a movie, Songcatcher, released in 2000 but not viewed by your author until last night. The parallels of the story line of the movie and the life and times of my great grandmother were amazing and the inclusion of two of her folksong ballads, Pretty Saro, moved me to tears. My night was a restless one, seeking out the soundtrack of the movie, listening endlessly to the songs of the mountains, then dreaming of the bits and pieces known about the remarkable woman, Malinda Ellen Hopper Bullard. Rosanne Cash performs another of her ballads, Fair and Tender Ladies. Malinda was the second child and second daughter of John David Hopper, Jr. (b. 27 Jul 1823, Hamilton County, Tennessee; d. 19 Jul 1895, Jane, McDonald County, Missouri) and his wife, Mary Johnson Young (b. 11 Apr 1821, Lafayette County, Missouri, d. 22 Jun 1896, Jane, McDonald County, Missouri). 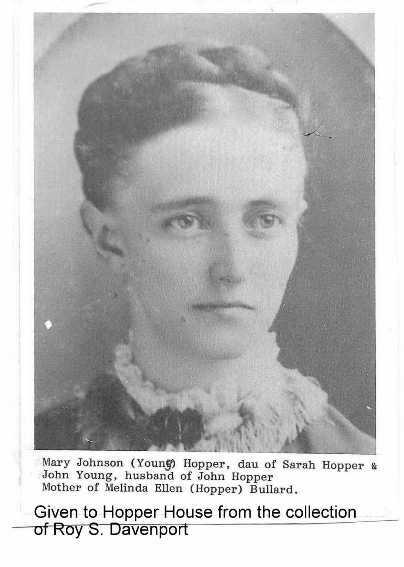 Her mother, Mary Johnson Young was the daughter of John Young (b. 1792, Burke County, North Carolina, d. 1850, McDonald County, Missouri) and Sarah “Sally” Hopper (b. 1796, Burke County, North Carolina, d. 1854, Lafayette County, Missouri) who was the sister to Napa Charlie Hopper who led the Bartleson-Bidwell party in 1842 from Missouri to California, an historic journey memorialized in several State’s history books. 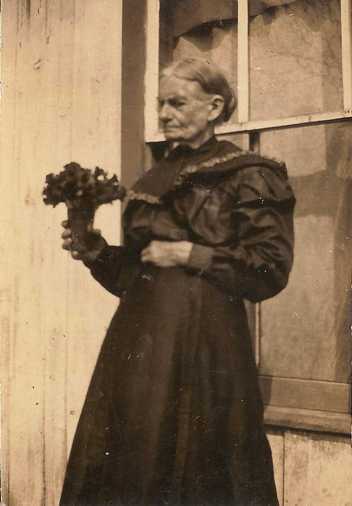 Malinda’s grandmother, Mary “Polly” Davenport Hopper (b. 24 Feb 1793, Chattanooga, Tennessee d. 3 Mar 1876, Brushy Knob, Johnson County, Missouri) was the daughter of Capt. Martin Thomas Davenport, Jr. one of the Heroes of King’s Mountain and the subject of one of the author’s in-depth research studies provided in an earlier column. 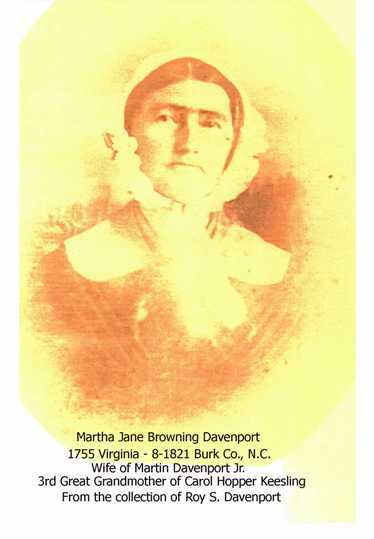 Mary “Polly” was Martin’s daughter by his second wife, Martha Jane Browning (b. 1755 in Virginia, d. 1821, presumably in North Carolina). SOURCE: Source This story was also related to our Aunt, Linnie Jane Joslin Burks, who had included the story in her handwritten family tree records. Like her grandmother before her, Malinda Ellen Hopper Bullard would become an herbalist, Ozark midwife, and provide medicinal care to friends, family, and neighbors. Malinda lived a hard and demanding life. In her early teens, the conflicts preceding the Civil War would disrupt her life. Her father was a member of the Mormon Church of Jesus Christ of Latter Day Saints and, therefore, a conscientious objector. At that time, no man was granted that right. Soldiers for either side upon finding an able man not committed to one side of the conflict or the other considered him a traitor and rendered judgment immediately. The only punishment for treason was death. Thus, John David Hopper, Jr., spent a good portion of his time in hiding in a cave near the family farm. That left the job of running the farm to Malinda. The family legend is told that early in the conflict a group of Union sympathizers or soldiers arrived at the farm. Such a visit was typically prompted by need of food, water, shelter or even care for their horses. On this occasion, the young officer in charge of the small group “took a shine” to young Malinda who was reputed to be not yet 15 years of age. After having their demands acquiesced, the Lieutenant ordered his men to “burn it.” Alarmed, Malinda pled with the Lieutenant not to destroy their farm, her mother and young siblings and all their livelihood. “Well, let’s see…a pretty young thing like you, begging for this favor, must be willing to give a favor in return, right?” With that, Malinda responded, “I’ll give ye not more than a Yankee dime, as that’s what’s said you barter in.” The Lieutenant, rather than be angered found her retort to be charmingly naïve. He said, “Well, if that’s what you have to offer, guess we just may have struck a bargain.” With that, Malinda put a boot toe into his stirrups, pulled herself up and planted a kiss upon his cheek. The soldiers were ordered to pass the farm by – and to pass the word on that it should not be harmed in future visits. The Census for 1860 shows the family in Pineville, McDonald County, Missouri, but the 1870 Census enumerates the family in nearby Jane, McDonald County, Missouri. The entire area of McDonald County at that time was filled with Hopper, Young, Russell, Davenport, Coffee and Bullard families. In 1880, Malinda Ellen, now age 34 was found yet to be faithfully caring for her aged parents on the family farm in Jane. Malinda grew up in a community largely populated by relatives. Two of her best friends were Susan Caudill, about two years younger, and her just older cousin, Eliza Coffee (Pitts) whose parents were her aunt and uncle, Elizabeth “Betsy” Hopper (elder sister to her father) and Meredith Coffee. Just after the War, the family legend is that one day the three friends were coming back from market when they saw a handsome young man with rich auburn hair and a lush auburn beard came riding by on a fine horse whose color closely matched his hair and beard. His saddle was not the ordinary “every day” saddle, but a very fancy one of leather adorned with brass fittings. The three girls each said, almost as one, “Oh, my! I think I must marry that very man one day!” And, as luck would have it – all three would, indeed, be wed to William Henry Bullard, Confederate hero of the Civil War. 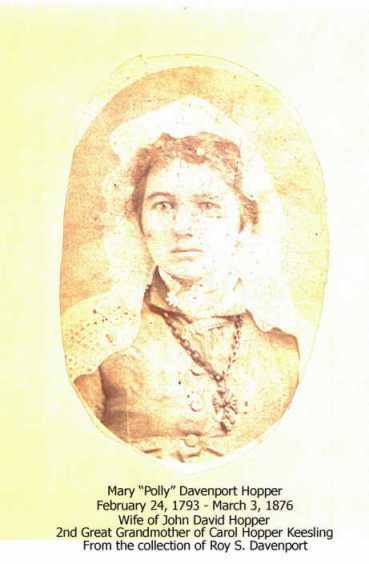 First, Susan D. Caudill, the youngest of the trio would be married to William Henry, and come to bear three sons: Jacob Alexander Bullard who would survive a mere 13 years, James Russell Bullard who would succumb as an infant, and Thomas Jeremiah Bullard who would survive to adulthood. Only two years following that third birth, Susan Caudill Bullard passed away. It is believed she did not survive a fourth pregnancy, but records have not been located to prove that to be true. After the death of his first wife, William Henry Bullard would take his second wife, this time wedding the recently widowed Eliza Coffee (Pitts) in 1875. By May of 1880, this second wife would die, leaving William Henry a second time widower. In June the US Census would record William Henry Bullard and his young son, Thomas just 9 years old, living in White Rock, McDonald County, Missouri. By October of 1880, William Henry Bullard and Malinda Ellen Hopper would be wed, “sitting horseback in front of Parson Scogg’s cabin.” Malinda and William Henry Bullard would have seven children of their own: Stella Lee Anice “Stell” Bullard, Vincil Clarence “Vince” Bullard, Lilvia Acenith “Lil” Bullard, Azalia Lovethia “Zail” Bullard, Mary Ester Zenobia “Nobe” Bullard, Evan Ones Bullard and Carrie Edyth Bullard. When Carrie married James Arthur Joslin it raised eyebrows around town. For Carrie had remained home to care for her aging parents much as her mother before her. And James Arthur Joslin was, perhaps, THE most eligible bachelor in town, dapper, tall, handsome, charming, and several years her elder. But, that was not the biggest reason for the townfolk’s interest in this prospective union but the history of the two fathers: William Henry Bullard, Confederate veteran, Democrat, Methodist and William Henry Joslin, Union veteran, Republican, Baptist. In spite of this, the wedding proceeded, but it was always said a family reunion was more like a reenactment of the Big War! Malinda Ellen was widowed in 1911. By 1920, the US Census would find her heading the household that included son Evan (who never married) her daughter Carrie and her little family, husband Artie and new baby daughter, Lena May. The household was filled with music, as always had been true. The families of Hoppers, Russells, Youngs, Davenports and even the Bullards came from the mountains of North Carolina, Virginia and Tennessee – the Appalachian Mountains. And those mountains were filled with immigrants from Ireland, Scotland, Wales and England. The music of the Appalachian Mountain range is renowned as the origins of Bluegrass. Plaintive songs of life: struggles, unrequited love, and loss, war and conflict, and the inevitability of death. Those songs were carried down in the family by oral tradition, each generation learning the tunes and the lyrics of age-old ballads. And Malinda, known to all as “Linnie”, was born to follow in the footsteps of her grandmother and her mother before her – midwife, herbalist, medicine woman and bard. Her fame was widespread as one who knew more of the old tunes and lyrics than any other around. The Appalachian Uplands, stretching from New York to Alabama, and the area of the Ozark-Ouachita mountains are separated by some 400 kilometers of land. They are actually two parts of a single physiographic province that have a strong topographic similarity and an unusually close association between topography and human settlement. Early settlers, when they reached the shores of colonial America, heard tales of a vast range of high mountains to the west. As they moved into those mountains, they discovered that their elevation had been exaggerated. Only in a few small areas do the Appalachians or Ozarks approach the dramatic vistas so common in the West. Nevertheless, most who concern themselves with such questions would agree that much of the Appalachian and Ozark topography should be called mountainous. Local relief is greater than 500 meters in many areas, and it is sometimes greater than 1,000 meters. Slopes are often steep. He moved to Pineville, Missouri, in 1919 and in the course of his research and documentation of the Ozarks and the way of life, learned of Mrs. Linnie Bullard, bard extraordinaire. He began visiting Linnie on her front porch and soon obtained her agreement to let him capture her ballads and folksongs on the wax cylinders he had created for this purpose. And, here, if you have seen Songcatcher you will recognize the incredible parallels between that movie, the musicologist heroine, Dr. Lily Penleric and our Linnie Bullard and her own musicologist, Vance Randolph. In the film, Dr. Lily visits her sister in the Appalachian Mountains and ends up falling in love with the land, the people and, most importantly, the MUSIC. She visits various people who are known to “have the music” and documents their songs by handwriting the notes and lyrics but also on a machine she creates, thus the title Songcatcher. SOURCE:This is an excellent link for it provides links to the artist’s actual music. 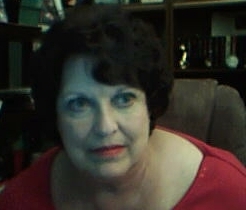 To add just one more bit to the mystique that seemed to surround Malinda Ellen Hopper Bullard, several years ago while researching the Bullard family, I found among thousands of entries one intriguing hit on the search engine. A lady named Marilyn Carnell living in California had obtained, by chance, a series of letters among members of the Bullard family written in the Civil War era. She did not want those letters to be lost so had posted online. I responded to her post and after a series of emails she determined I had sufficient documentation to be entrusted with the letters. She mailed a package to me of the original letters and I was, ultimately, able to identify the writers and recipients of each letter. During the course of our email correspondence, I was amazed to learn that Marilyn Carnell had a link to Pineville. 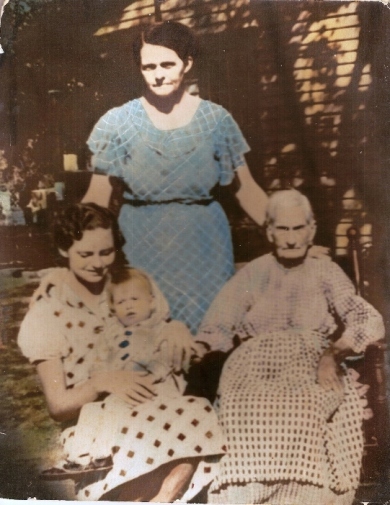 In fact, when my great-grandmother Malinda Ellen Hopper Bullard passed away, the undertaker who crossed the swinging bridge to the island home where she had lived was Lee Carnell – Marilyn Carnell’s great-grandfather! On the 4th of February in 1937, Malinda Ellen Hopper Bullard watched her last sunrise, looking out the window of her room across the wide river from the island home she shared with her daughter, Carrie. She was buried beside her husband in the Pineville Cemetery, Pineville, Missouri, among the graves of so many family members.